The Turbo Levo Hardtail Comp 6Fattie has all of the speed and nimble handling that our hardtail trail bikes are known for—only with a sophisticated Turbo boost. Then comes the efficient and powerful Turbo technology, mating the battery and motor into the M5 frame in a new way. The exclusive, custom-tuned motor smoothly and quietly puts out up to 530 watts of additional power to the pedals to make climbing nearly effortless, and the output is fully adjustable to conserve energy. At the battery, you'll find that it's fully integrated with the down tube and easily removable for quick charging or swaps. 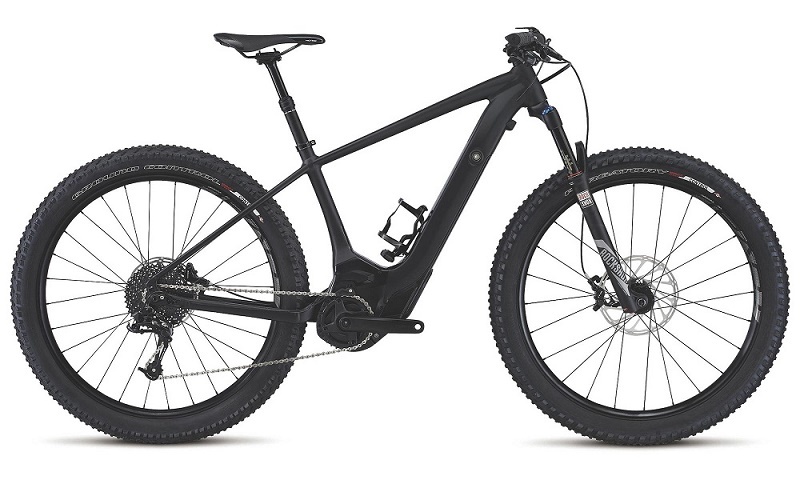 It has a lengthy lifespan for hitting long, out of the way trails and, along with the motor, is strategically placed for optimal weight distribution on the frame. This version has a durable build kit, with a 120mm RockShox Revelation Reba RC3 fork up front, SRAM DB5 brakes, and a SRAM one-by groupset controlling shift and drivetrain duties. It also features our revolutionary new 6Fattie wheel system that decreases deflection and dramatically increases traction, floatation, and fun over the trail. Add to this our powerful Mission Control App for full control of the Turbo technology and an integrated Trail Display with all of the ride metrics you need, and you're looking at the future of hardtail trail bikes.